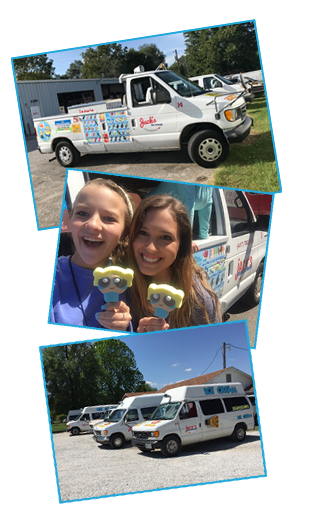 April 15, 1990 the first Jack's Ice Cream truck hit the streets of Joplin, Missouri. Now 50 plus trucks strong, we serve 300 towns daily in the Four State Area. 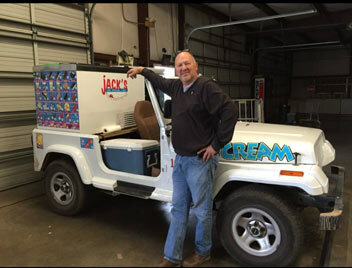 Jack's Ice Cream operates 50 plus vending trucks in the Four State Area. Offices are located in Springdale, Arkansas; Springfield, Missouri and Tulsa, Oklahoma as well as our corporate office in Joplin, Missouri. Our season runs from March through October. Are you looking for a fun and rewarding way to make money, call Jack at 417-782-3925 for details.